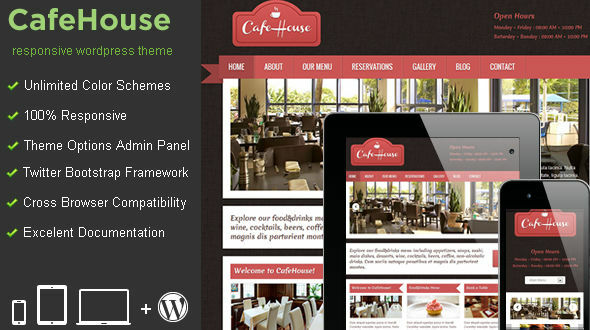 Cafe House is 100% responsive WordPress theme and highly customizable for restaurants, bars, bistros etc. 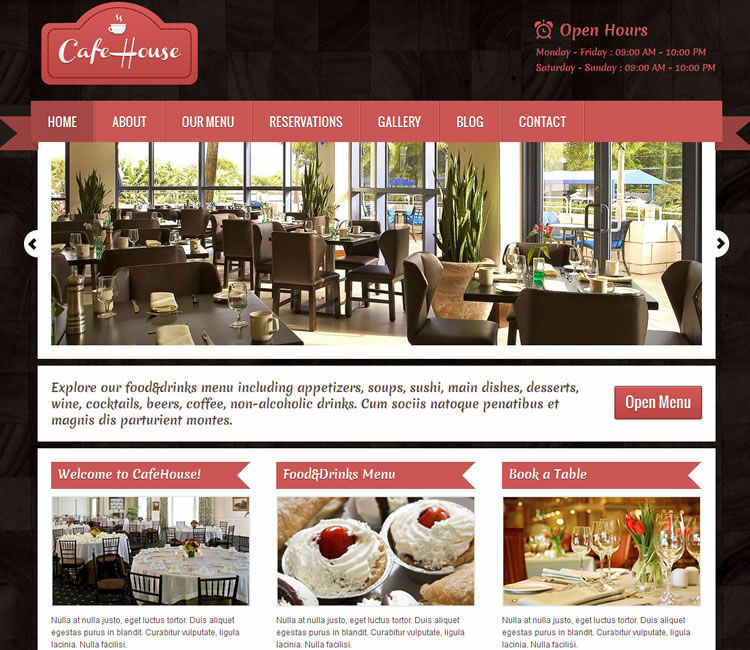 Cafe House has an elegant and easy to use admin panel, where you can customize colors, text, social media. 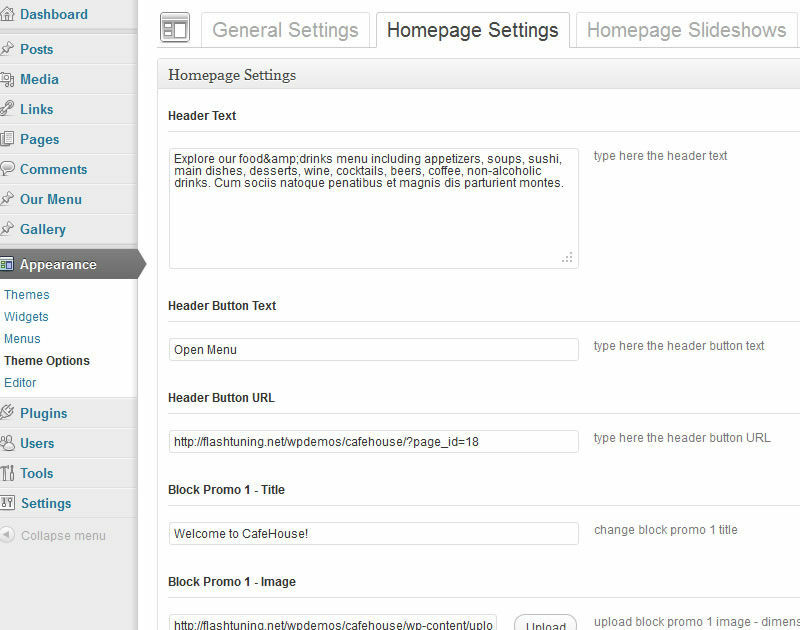 Also via the custom templates you can organize your food and drink menu and photo galleries. If you have pre-sale questions or need support send your message via contact form on our profile page. Need personal customization? We are available for freelance work.